For my second Disneybound outfit of the year, I'm channelling my Scottish heritage with a look inspired by Merida from 'Brave'. I haven't tried to copy her exact outfit from the film, but instead have put together some of my own clothing items to create a look that I think represents a 21st century version of her. I went with the obvious Scottish tartan with this dress, and paired it with leggings rather than tights, since they're comfy, practical, and ideal for these cold Scottish winters. Merida is very much a heroine, and needs a practical outfit for her rough & ready sort of attitude, so I chose these flat, chunky boots, and this sturdy leather jacket. 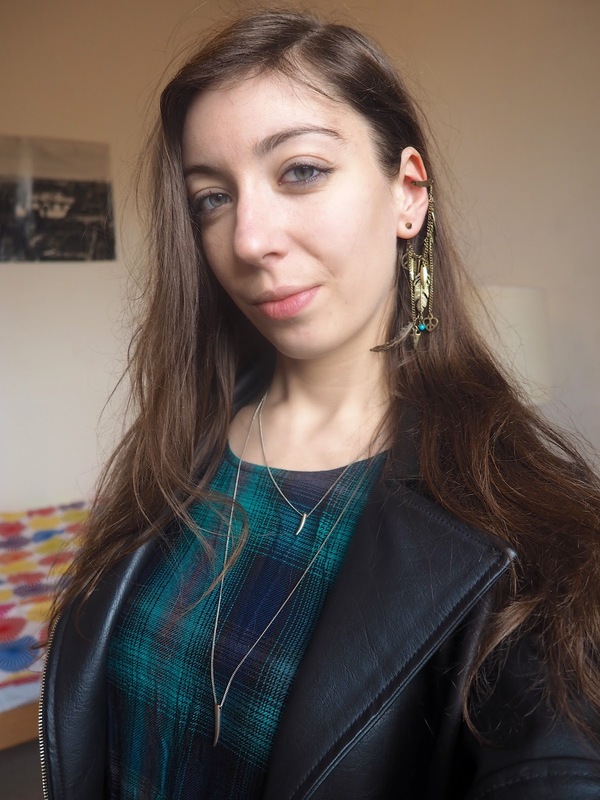 For jewellery, I thought my double fang necklaces represented her wild side well - the film involves bears rather than wolves, but it's a similar wild animal vibe I was going for! 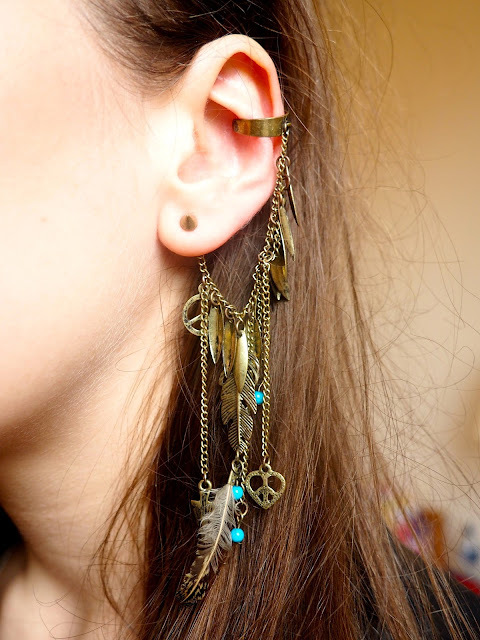 - and this gold ear cuff, with feather and arrow details, definitely felt like something that she would wear. Merida isn't the sort to spend ages on hair and make-up, so I left my hair natural and untamed (and probably in need of a wash), and stuck to my minimal, everyday makeup.